Discover the worlds best online slots and where to play them! We review new, classic and popular slots from different providers which are worth playing. 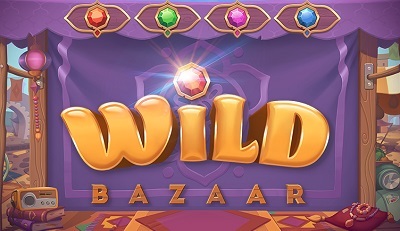 Wild Bazaar is a new Netent slot with a far eastern bazaar theme. Find out hoe to play, the best playing tips and what this games RTP % is in our full slot review! Coins of Egypt is a top quality online slot with an Ancient Egyptian theme. Plenty of feature including free spins and collect bonuses, find out more and where you can play for real money or free. We review top new slots launching from various premium casino software providers every single week. Below, you'll find compete reviews and ratings of the newest online slots released and older reviews below. Simply browse the latest list of newly added slot reviews and click on the slot name to read the full review. You can also browse slots by software by clicking on their icons. If you're trying out some new slots then we also recommend you to have a look at our list of the latest new slot sites in the uk to launch too, all of which will offer you a complete fresh and new casino experience and some of the best free spins and bonus codes online. Netent have gone back to basics with this classic slot which features a free spins game, wilds and double stacks! Find out everything in our full review: where to play, Rtp %, variance & playing tips! Swipe and Roll Slot Review - So Retro it COOL! Find out everything there is to know about the fab new slot from Netent: Swipe and Roll, including tips and Rtp %! All slot fans will be able to reminisce with this classic slot - but this one has lots in game features! Jumanji is an online slot from Netent launched in April 2019 and based on the film franchise of the same name. Read ow to play, where to play and get tips on rtp % and more! Hotline is a high paying online slot from Netent with an eighties Miami Vice styled theme. Find out how to play and which online casinos are the best to play this slot game at. Asgardian Stones is a new Netent slot with a Viking Norse theme and plenty of in game features to keep you entertained. Read how to play this thrilling slot and which casinos are best to play it at! Finn and The Swirly Spin is a new slot from Netet full of features including a spiral layout! Play now at our top casino sites! The Legend of Shangri La Cluster Pays slot is available at all Netent Casinos. Find the latest free spins & offers in our expert review. Emoji Planet Netent Slot Review - The Official Emoji Slot! Wild Wild West: The Great Train Heist is a western themed online slot from Netent featuring 4 villains. Play now at our top casinos sites. Simsalabim is an online slot from Netent themed on mystery and magic. Play now at our recommended Netent casino sites with the best bonuses. Get the Christmas feeling when playing Netents new Secrets of Christmas Slot, which will you you presents in the form of free spins and multipliers! Secrets of Atlantis is a Netent Slot featuring an ancient Greek theme based on the lost city of Atlantis. Play now at our top recommended Netent casinos. NRVNA The Nxt Xperience is a futuristic online slot from Netent, all about an enlightening experiences. Play now at our top Netent Casinos. When Pigs Fly is a Netent Slot which offers fab cartoon graphics and many in game features including free spins & 3125 ways to win. Not to be missed! Netent take you to the funfair with this 5 reel & 50 pay line slot which is packed full of extra features. 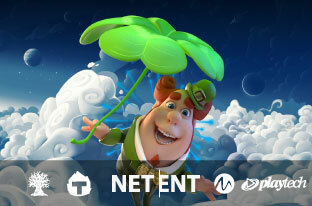 Play at top Netent casinos with free spins! Kick off the Euro 2016 cup with Netents Football Champions online slot. Packed with extra features and free spins, play now at our top Netent casinos! Netents Motorhead slot is the final stop on the Netent Rocks Tour. Read our full Motorhead slot review and find the best casinos to play it! Aloha! Cluster Pays Slot by Netent is a rocking hula Hawaiian themed slot which offers a unique design, cluster symbols and free spins to help you win big! The Jimi Hendrix Slot is part of the Netent Rocks Tour, a trilogy of classic rock slots & immortalises the guitar legend in a funky online slot machine. Guns and Roses Slot Review (Netent) Rock Legends in a Slot! Fisticuffs is a video slot from Netent which has a 1900s boxing theme. Expect to see many different wilds to help you get some epics wins. Space Wars slot by Netent is based on an epic battle in outer space between different Aliens Species. It's cute, fun to play and has many win chances! Netents Elements: The Awakening Slot offers 3D graphics, lots of extra in game features such as free falls, wilds and Netents Avalanche feature. Hooks Heroes Slot promises pirates and adventures in a cartoon tale. Hooks Heroes is a Video slot by Netent, play now at Casumo Casino. Neon Staxx is a cool and retro slot from Netent featuring free spins and scatters. Play now at our recommended casino sites. Stickers Slot is a colourful fruity summer slot released by Netent. Offering Sticky Wilds and Sticky Spins for maximum winning opportunities. Dracula Slot by Netent is based on the latest Universal film of the same name. Try now at our recommended UK casino sites. Spinata Grande is an online slot from Netent, offering scatters, free spin and colossal wilds. Play now at our top casinos with Netent software. Bloodsuckers is one of the original online slots from Netent offering a creepy vampire theme and lots of in game features including free spins. Dead or Alive Slot is a high variance Netent Slot inspired by the drama of the mid west Cowboy era. Help arrest the famed Outlaws and get rewarded in cash! Jackpot 6000 is a very distinctive Netent Slot machine, that is based on the classic slots that in land casinos. This is a must for classic slot fans! Who says you only have one wish? Play NetEnts The Wish Master Slot at our top recommended online casino sites. Lights Slot is an Eastern themed slot by Netent. Play now at our top casino sites & spin your way through floating wilds for free spins! Attraction Slot by Netent is themed on a mad scientist who experiments with the laws of magnets! Play now at our top casino sites. Arabian Nights Progressive jackpot slot is a classic Netent jackpot slot machine with a ancient middle astern theme, and offers over a million in jackpots! Cosmic Fortune is a Progressive Jackpot Slot by NetEnt which offers a total of 5 progressive jackpots. Play now at our recommended online casinos. Lost Island is a magnificent looking online slot from Netent. Read our full review and play now at our recommended casino sites. Go Bananas is fun NetEnt slot. Monkey around for big wins and Go Bananas 5 different substituting Wild Monkey symbols each with their own characteristics! Highlander slot by Microgaming is based on the legendary movie of the same name. Play now at our recommended UKGC gambling sites offering the bonuses and casino experience! Fortune Girl is a manga themed, medium variance online slot from Microgaming offering wilds and mystery symbol features. Jurassic World is a new online slot from Microgaming based on the film of the same name. Play now at our recommended casino sites. Cool Buck Slot from Microgaming is a fun classic slot offering wilds and free spins. Try now at our recommended casino sites. Life of Riches is an online slot from Microgaming with a classic theme of the luxuries in life. Play now at our top rated Microgaming casinos. Hell Boy is an online slot from Microgaming based on the superhero of the same name. Play now at our recommended casino sites. Go on an adventure with Jim to uncover treasures of your own in the Aztec Jungles. 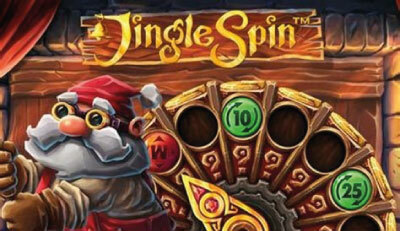 You can play Jungle Jim Slot at all Microgaming casinos. Karaoke Party is a fun and fun slot from Microgaming offering a great soundtrack and lots of extra game features. Play now at our recommended casino sites! Tomb Raider is an online slot machine from Microgaming, based on the movie franchise of the same name. Play now at our recommended casino sites. Mermaids Millions is an online slot machine from Microgaming which features an underwater theme. Play now at our recommended online casino sites. Win Sum Dim Sum is an Asian themed online slot from Microgaming offering fun in games features including wilds and free spins. Bar Bar Black Sheep Slot is a pun on the old nursery rhyme and is given a classic theme. Play now at our top rated Microgaming Casinos. Microgamings Immortal Romance Slot offers more than meets the eye. A Vampire love saga, theres lots of bonus features, free spins and entertainment. Ariana Slot by Microgaming has an underwater world theme. Enter Arianas world to find hidden treasure of your own. Mega Moolah Slot Review - Is it Legitimate? Game of Thrones Slot machine by Microgaming is based on the tv series and novel. Play now with 243 ways to win! Terminator 2 Video Slot is a cracking Slot machine made by Microgaming, which depicts the Blockbuster movie of the same now, Try this thrilling slot today! Get sizzling wins in Thunderkicks retro arcade Roasty McFly and The Flamebusters slot featuring 243 ways to win and many HOT features! Babushkas Slot is a Russian inspired themed online slot from Thunderkick. Play now at our top casino sites which offers the best casino bonuses. Sunset Delight is an ice cream themed online slot from Thunderkick. Play now at our recommended Thunderkick Casinos with the best bonuses. The Rift Slot by Thunderkick offers a high pulsed and exciting experience. Seal The Rift and land big wins &encounter free spins and sticky willds! Thunderkick's one of a kind casino slot Esqueleto Explosivo is a completely unique video slot with a really cool theme celebrating The Day of the Dead. The Merlin's Magic Respins slot is a sequel to the popular Merlin's Millions slot by NextGen. Play now at the best casinos online with free spins. Psycho Slot from NextGen is based on the famed Horror movie by Alfred Hitchcock. Play now at our recommended Casino sites. Manic Millions is an online slot from NextGen with a science lab theme. Play now at our recommended NextGen casinos. The Great Ming Empire is a 5 reel 5 payline slot from Playtech. Travel back in time to the Ming era and pick bonus treasure chests to reveal your prize. Play a legendary Greek themed progressive jackpot by Playtech at our top rated casino sites. Age of Gods: King of Olympus Slot is not one to miss! White King Slot (Playtech) High Variance & HUGE Wins! Playtechs love-able cheesy slot Dr Lovemore is lighthearted and fun and comes with many extra win opportunities - free spins and a progressive jackpot! Beach Life Progressive Jackpot is a beach themed slot by Playtech. Beach Life offers a multi million jackpot. Play Now at recommended casino sites. DJ Wild is an online slot machine from Elk Studios. Become the DJ and spin tunes to win a fortune! Available at our recommended casinos. Elk Studios brings us a sequel to Electric Sam slot with Sam on the Beach Slot. Play now at our top casino sites with the best bonuses.